The border between Hyder, Alaska, and Stewart, British Columbia, soon will be open 24-hours a day. Sen. Lisa Murkowski’s office announced today that after many discussions with her office, the Canadian government has agreed to work with U.S. officials to open the gate — and keep it open, all the time. The border has historically been open 24-hours a day, but starting this spring, Canadian officials decided to cut costs by closing the border between midnight and 8 a.m. 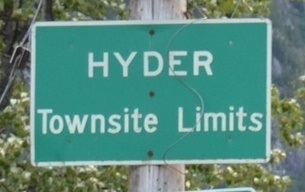 The approximately 100 residents of Hyder, who depend on Stewart for medical care, were concerned about access to emergency services. The Canadian government responded with a proposal that emergency providers could have a key to open the gate when needed. There also was concern about how the closure would affect tourism for both communities. Many visitors stay in Stewart and then cross the border early in the morning to visit the popular bear-viewing facility in Hyder. Felling said that with the new agreement in place, people on the Canadian side of the border will be able to cross between midnight and 8 a.m. without stopping or checking in. “For Americans or tourists on the American side of the border going to travel into Canada, there will be some sort of electronic box, a display, a camera, where they report their – it might be a license, it might be a passport – they will have to report in and announce that they’re entering the country,” he said. Felling said there likely will be a faster process available for people needing emergency medical care. He said officials are still figuring out the details on how the system will work, so a precise timeline is not yet known. The overnight border closure went into effect April 1.